John Amos & Co. are increasingly selling, letting and managing commercial property, both in rural locations and also in the market towns and cities in the region. With so many businesses in the rural sector diversifying into commercial property, it is felt to be an integral part of our rural business. The department can offer sale, lease and management of commercial property, together with the benefit of being able to provide commercial valuations for all purposes, rent reviews, record of condition, dilapidation and rating assessment. 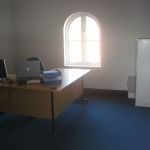 Serviced offices from 1 room up to 10 rooms available in modern building in town centre, Leominster. Available together or separately, includes shared lift, wc’s and shower room and spacious kitchen. Up to 40,000 sq.ft from 4,000 sq.ft to 18,000 sq.ft. Terms negotiable. Call John Amos on 01568 610007 or 07813 601424 to discuss. 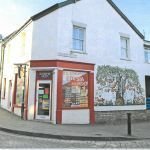 A freehold mixed premises comprising shop and retail area of approximately 800 sq.ft, along with two independently accessed first floor one bedroom flats. The unit is positioned in a central location within Leominster, with all units having tenants in situ.